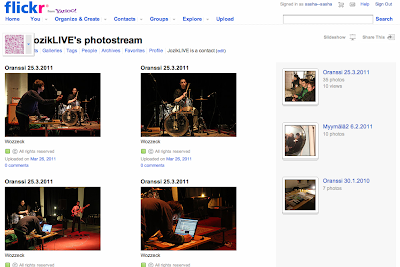 I've created a Flickr account for Jozik today. I've decided to start taking photographs at all the shows we organize and thought that Flickr would be a good place to share those photographs with the artists who participate as well as others who are interested. I'm not so good at concert photography yet, but i hope now that i photograph all our shows, i'll improve.